Manu Punjabi and Pritam Singh used a special power to take Karanvir out of jail. Bigg Boss 12 updates: All contestants dance to the tunes of a Bollywood song. Cuckada Coo rings as Romil is found sleeping in the washroom. Surbhi confronts him that makes the latter angry. Former contestants Pritam and Manu Punjabi interact with contestants. They tell them to take one name for kalkothri. Though Surbhi is a captain, she can also be sent to jail this time. 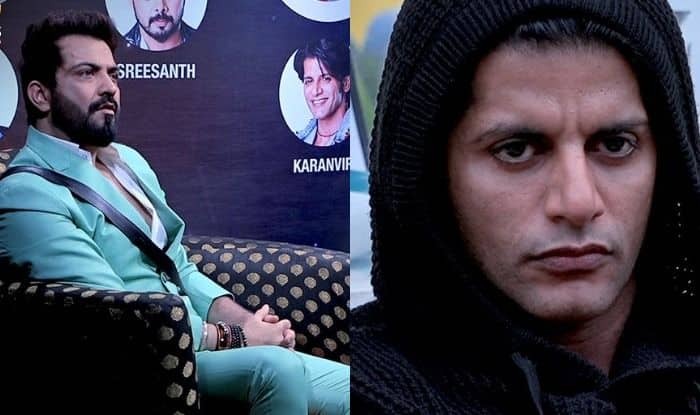 Romil and Karanvir get equal votes. In the end, Surbhi announces Karanvir’s name for jail punishment. However, he denies going. After Bigg Boss announces, he goes to the jail. As Surbhi took Karanvir’s name, she discusses with Somi that she should have taken Romil’s name. Manu and Pritam once again ask housemates to name one bad contestant of the house. Dipika and Sreesanth take Surbhi’s name. Manu looks impressed with Dipika and also says that he can easily go to jail if she says. Somi and Surbhi take Sreesanth’s name. Deepak once again takes Surbhi’s name. Sreesanth and Surbhi get into war of words. Romil takes Surbhi’s name. Maximum votes go to Surbhi and she goes to jail. She apologises to Karanvir for taking his name. Manu and Pritam ask to name the most irritating contestant. Dipika and Deepak take Romil’s name. Rest three contestants take Deepak’s name and he goes to jail. Manu and Pritam enter the house. They interact with contestants and also praise Deepak for his singing. Pritam and Manu have a special power and they take Karanvir out of jail. They say that he didn’t deserve that punishment. Romil tells Somi that he will meet her once after coming out of the house. He further says that he wants to leave the house. Both of them get into verbal spat. Surbhi breaks down into tears while talking to Karanvir. She says that she is handling a lot of allegations alone. She further says that everybody’s family week went well except for her adding that she also gets frustrated. Deepak tries to interrupt but Surbhi asks him to stay quiet.